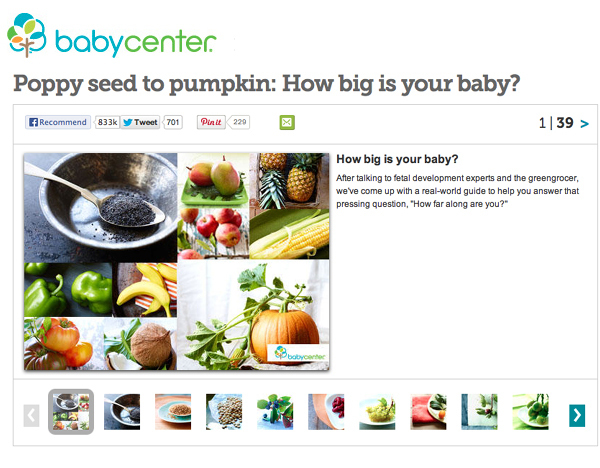 Leigh Beisch Photography Blog: Babycenter Re launches it's Ever Popular Fruit and Veggie Comparisons with my Photography! 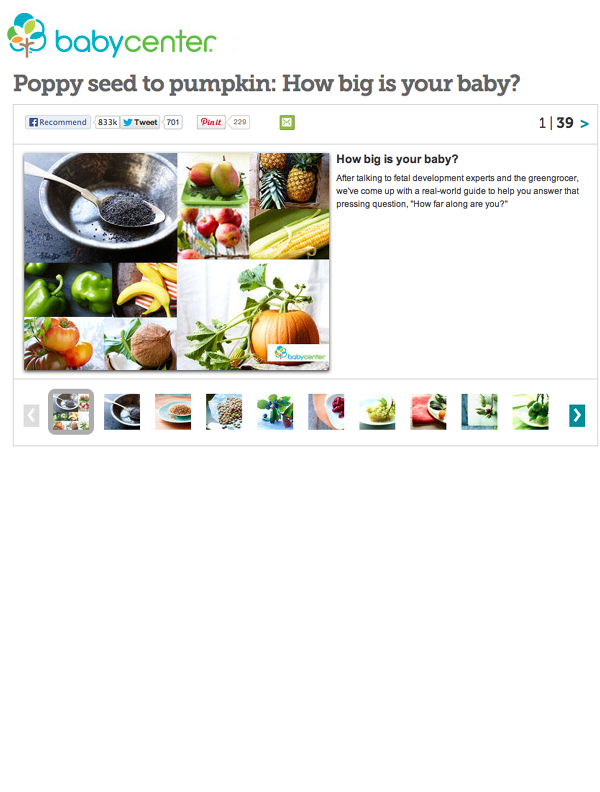 Babycenter Re launches it's Ever Popular Fruit and Veggie Comparisons with my Photography! Babycenter, the well known online parenting site decided to re do their extremely popular baby comparison feature. They wanted fresh, healthy looking fruit and veggie shots to illustrate how big a baby is at a certain stage of develpment. They wanted photos that their readers would want to share through social media- Facebook, Pinterest and Twitter. This is one of a few social media projects I have had lately and I was excited when they contacted me. 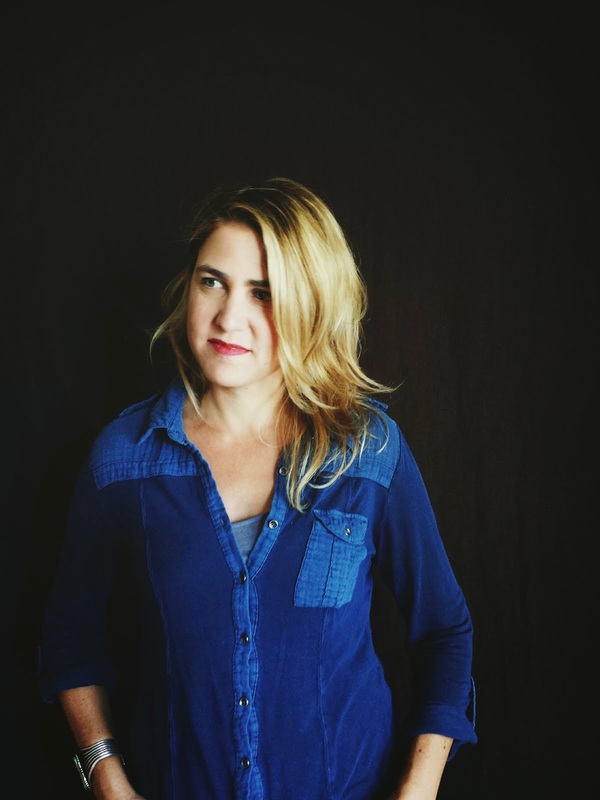 I love the idea that people would be sharing my photos- enjoying them on an ongoing basis. Also for my photos to be a part of that extremely important time in a parent's life- when they are excited to see how large their baby is at that stage- that was really cool since I have shared in the same experience waiting for my daughter to be born. 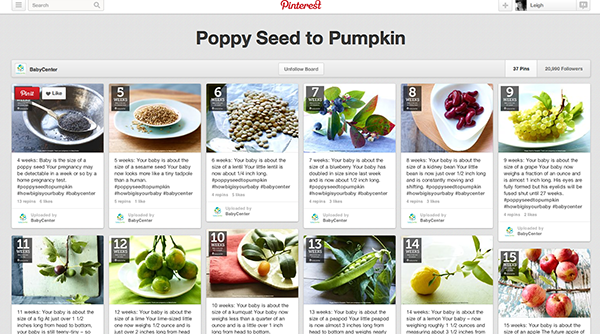 Here are the photos on Pinterest- with already over 20,000 followers!